There are three main types of asbestos used in Australia, Chrysotile (White Asbestos), Amosite (Brown Asbestos) and Crocidolite (Blue Asbestos). Microscopically, asbestos fibres have a hook-like shape that allows them to attached onto other materials (even on the lining of lungs). The asbestos fibres can be found in the air when broken. If the fibres are broken into smaller fibres, they will float in the air longer and can be carried at a longer distance by the wind. ASBESTOS IS A HIGH RISK WHEN AIRBORNE! Asbestos is classified as either “friable” (soft and crumbly) or “non-friable” (solid and rigid). Friable asbestos can be easily crumbled, pulverised or reduced to a powder when dry. 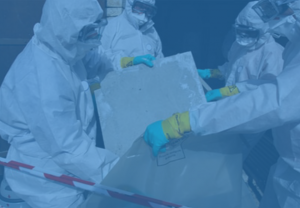 A “CLASS A” ASBESTOS LICENCE is required to isolate and remove friable asbestos materials. Non-friable asbestos cannot be pulverised or crushed under hand pressure. 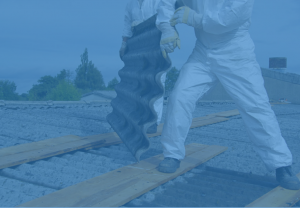 A “CLASS B” ASBESTOS LICENCE is required to isolate and remove non-friable asbestos materials. 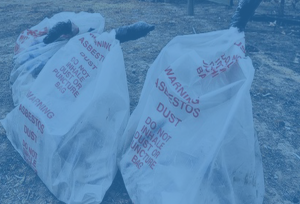 When handling, transporting and disposing of asbestos containing materials, an EPA licence is required and is regulated by each Australian state. How do I know if my home has Asbestos? As a general rule, if a house was built before the mid 1980’s, it is highly likely that it would have materials containing asbestos. Houses built between 1980-1990 are likely to have materials containing asbestos. If you are unsure if your property contains Asbestos, always treat it as Asbestos. 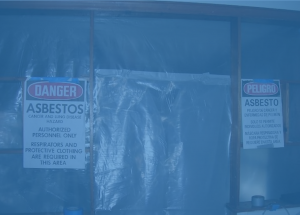 Contact Hazaway Asbestos Removal to organise an inspection. DO NOT DISTURB OR TRY TO REMOVE THE MATERIAL.